I'll be replacing the carpeting on a set of stairs with prefinished solid oak hardwood treads. Most of the treads will have to be fit between skirt boards so I've put together a stair tread jig. I would like suggestions on the best tool to cut the treads to length. The treads are twelve inches wide. I have a table saw and sled. I was considering buying a sliding compound miter saw but hesitate... Adding a layer of plywood to the risers may allow you to forgo the step of cutting off the overhang of the stair treads. You may also have to cut the bull nose (the front part that overhangs the tread) of the existing treads, even if you are not completely removing the old tread. Installing The Treads. Principles follow that of risers when measuring, but a handy tool simplifying the procedure is the stair wizard. 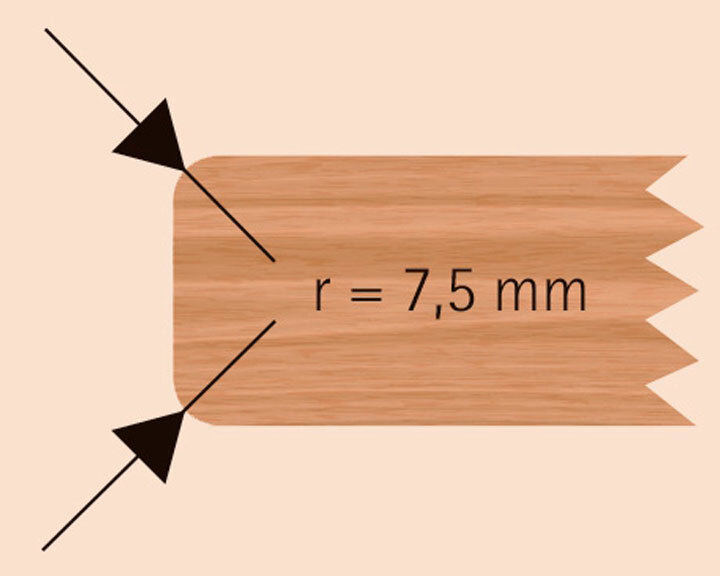 The tool is a retractable gizmo that can be placed over the stringers that gives the exact measurement of the area and compensates for angles that may exist against the finished stringers (skirting) on the... Use a circular saw to cut along the lines (Image 4). Cut all the treads in one direction, then change the angle and cut all the risers. Avoid over cutting the corner. Cut all the treads in one direction, then change the angle and cut all the risers. Cut the nose off the plywood treads. Depending on the thickness of the plywood risers I may face them with 1/4 inch oak risers if I'll still have enough depth for the oak treads...otherwise I'll remove the plywood risers and replace with 3/4 inch oak risers.... 25/03/2016 · 42″ oak stair treads (what you step on) – Pine treads are about $11/piece, oak treads are about $16/piece. We bought 42″ treads, because the width of our stairs was a little wider than the standard 36″ pieces. Whenever two boards meet at and angle, you have to cut each board by half of the angle in order to get the edges to line up. So, in the top-down picture with the pencil, lets say that is a 30 degree angle. Cut each board at 15 degrees. You can't cut the board to line up with the stringer - you have to "split the angle". Use a circular saw to cut along the lines (Image 4). Cut all the treads in one direction, then change the angle and cut all the risers. Avoid over cutting the corner. Cut all the treads in one direction, then change the angle and cut all the risers. Measure the depth of the step from the edge of the step or the edge of the bull-nose to the riser at the back of the step. If there is a bull-nose, measure the length it sticks out and subtract it from the depth of the step to get the value for calculating the run of the staircase.